A 1839 Plantation - Stately Oaks Plantation is a Greek Revival antebellum home in the land of "Gone with the Wind." The plantation grounds are home to the main house, country store, old school house, cook house and much more. Founded by Jama Hedgecoth, the original Noah’s Ark opened in 1978 in Ellenwood, GA. Named for the biblical Noah’s Ark, which represented a vessel of safety in the midst of danger, Hedgecoth’s ark was built to shield children and animals from today’s floods of abuse and neglect. The care of wildlife can be a lengthy and complex process depending on the species and the extent of injuries. If injuries are so debilitating that the animal cannot be released, it will stay at Noah’s Ark for the remainder of its life in as natural a habitat as possible. Hedgecoth outgrew her small farm in Ellenwood in 1990 and moved her family – and all the animals – to Locust Grove. 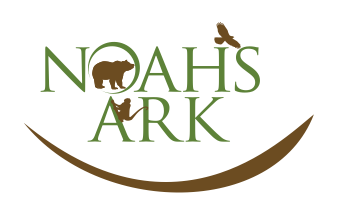 The current facility of Noah’s Ark is 250 acres and encompasses an animal rehabilitation center, training and administration building, nature trails and countless natural habitats for the more than 1,000 animals on site.